This webpage is part of NASA's Classroom of the Future program. 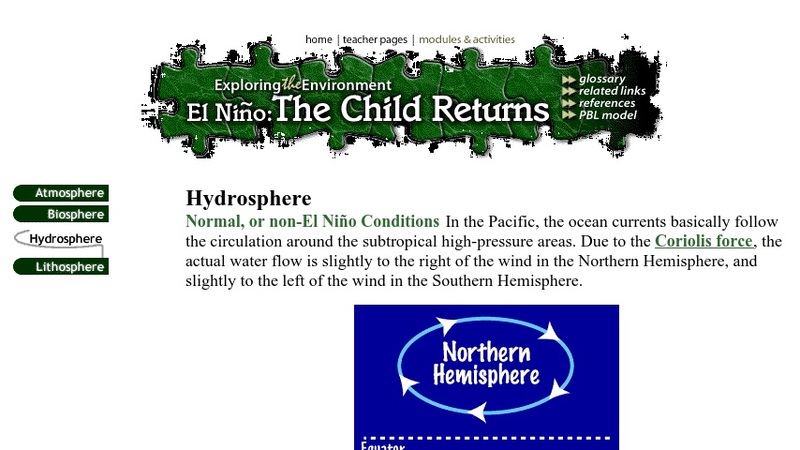 It provides background information about how ocean temperatures, currents, and atmospheric conditions combine to produce an El Nino event. The site features text, scientific illustrations, a glossary, and links to other Classroom of the Future pages.